Water is among the most important and common elements of our world and bodies. 71% of our planet is water. 60% of our bodies are water. Water is life. Life is water. In many religions water has become a symbol or metaphor for life, sustenance, divine presence and providence. In our tradition centered around Jesus water represents chaos or the adversary of God’s power (in the deep of the creation story, the flood, and the crossing of the Red Sea, Jesus calming the storm on the sea of Galilee). Water also represents justice, righteousness, conversion, and reconciliation. Think of Amos’ words about justice flowing down like a mighty torrent. Think of the baptism of John for repentance, the baptism of Jesus to new life, Jesus turning water into wine, Jesus walking on water. Our scripture today invokes those meanings of water. Here we see the story of an unwanted person seeking water, finding something deeper and wider than she expected. It’s a story that includes elements of racial or cultural supremacy. The Israelites, or Jews, considered the Samaritans to be less than-s, fake believers, a sort of half-breed mongrels. They claimed the same faith in the God of Israel but did it wrong, lived on the wrong side of the tracks, and were thus considered “dirty,” “impure,” in need of radical redemption. Many travelers avoided crossing Samaria. But it also was the shortest route between Jerusalem and Judea (in the south) and Galilee and Nazareth (in the north). So Jesus and his friends take the short-cut, but don’t cut their trip short. We’d do well to remember that although water is the most common element on our planet, and part of our bodies, it’s something that is also limited and in short supply. An estimated 2.5 billion people lack access to improved sanitation, more than 35% of the world’s population lack safe drinking water. We here in our country never give a second thought to that. Yet many people on our planet spend a large portion of their day preoccupied with ensuring that they have the water they need. 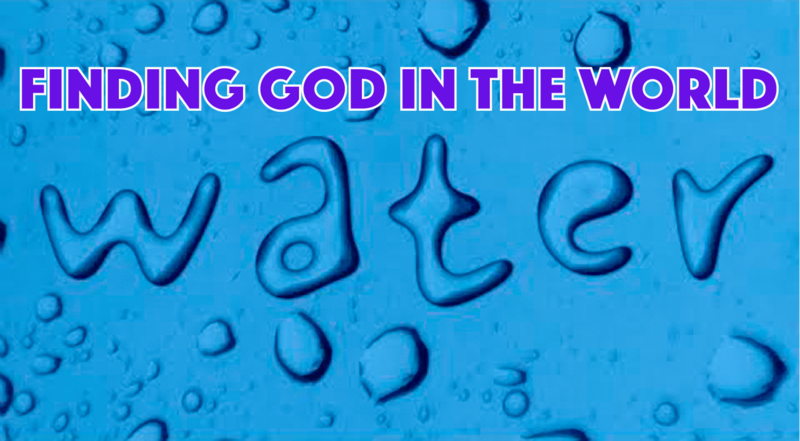 Thinking of water as a symbol of God’s justice, righteousness and desire for healing reconciliation with us, the question has to be asked…Do we also take God’s love and grace for granted? Are we aware of the gift that we have been given, not by our merits, but out of God’s generosity? It can lead us to feelings of guilt and shame, or such awareness can lead us to generosity, inclusivity, welcoming, and grace-giving. As you hear the story, with whom do you identify? Why? The last words of Jesus in the New Testament are “Let everyone who is thirsty come…” and “Let anyone who wishes take the water of life as a gift.” (Revelation 22:1-2; 17). How do you hear that invitation as an invitation to us today in our belief, practice, life, and love? Download the Text Study Sheet PDF that we use in our Vocabulary of Faith discussion at @CAPCOakland HERE.